The cloud mining service CexIO has introduced new interesting feature on their mining pool GHash.io, namely multipool mining with automatic switching to mine the most profitable crypto coin. The Multi Pool Pro as the service calls its new feature uses the integration with the other services and features such as Bitcoin cloud mining and trading and all goes under a single account. 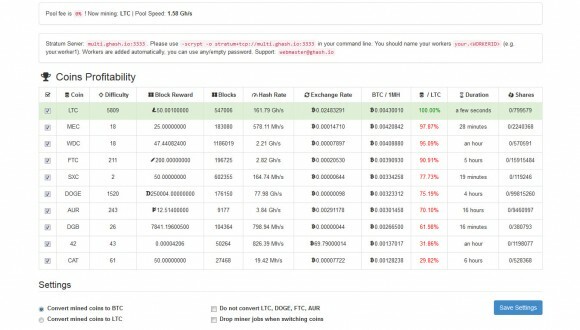 This new feature will be drawing some users for sure as the policy of 0% mining fee for the pool is something that is attractive for many miners. Since the service is still very new the hasrate at the Multipool is not that high, though it is already past 1.5 GHS and continues to grow. 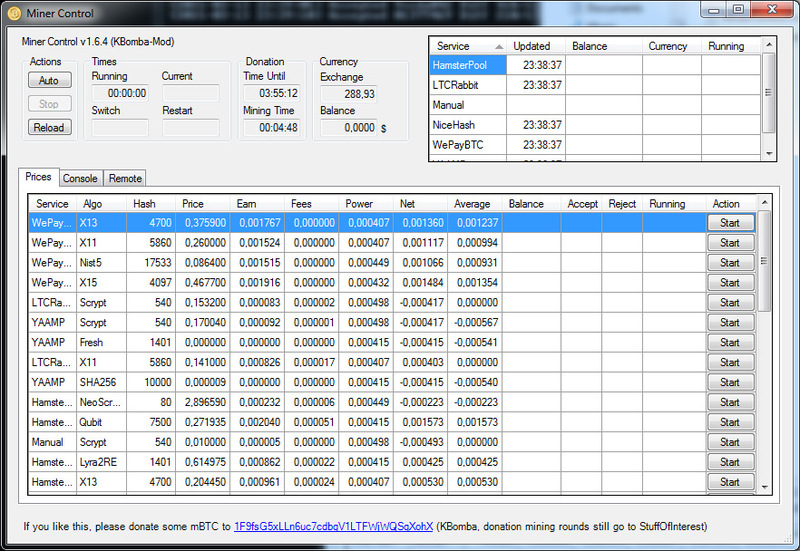 The list of currently supported crypto currencies for the multipool feature include: LTC, MEC, DGB, AUR, WDC, FTC, SXC, DOGE, 42 and CAT. And since the CexIO account balance is being used not all of these coins are supported and you need to use the auto conversion features that allows you to get the mined coins automatically converted to either BTC or LTC. There is also an option to not autoconvert LTC, DOGE, FTC and AUR as you have wallets available for these cryptos inside the service already available.